It’s Week 1! Each week of 2014, I’ll be recommending a song that I think your preschooler will love. If you’re excited about the prospect of fresh music every week, consider choosing one of these ways to stay connected. Without further ado, let’s get the music playing! Here is a charming and easy-to-listen-to rendition of the classic “Five Little Ducks” by talented children’s artist, Susie Tallman. It’s off her album “Children’s Songs—Childhood Favorites” which is full of other great tracks as well. I’ll probably be recommending a few of my other favorites throughout the year. “Five Little Ducks” is well-loved by my preschoolers and we often spend the time between verses making up the silliest places we can imagine that the ducks have gone. Out for pizza, swim lessons, or maybe to the park? Find Five Little Ducks in the Amazon Play Store or on itunes. The first week of the month is a bonus week because I’ll also be recommending a music-related book. 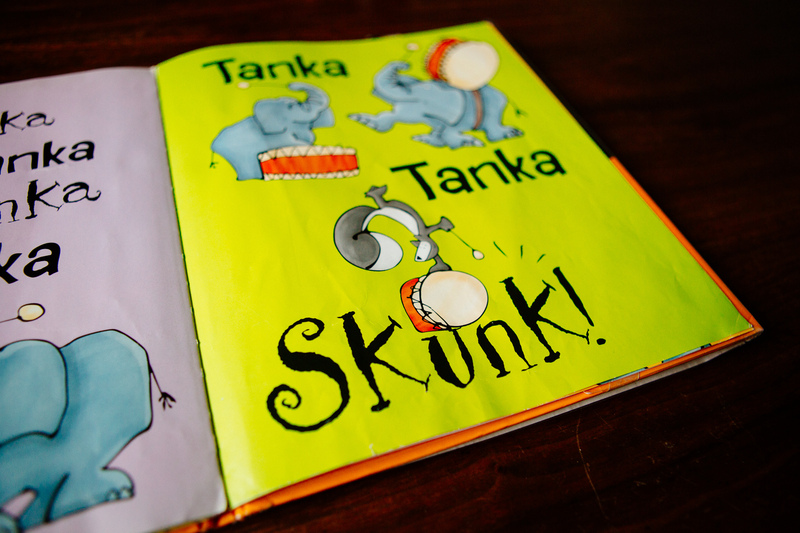 Tanka, Tanka, Skunk by Steve Webb is a book of rhythm and rhyme. It’s more of a chant than a song, but it’s got an amazing beat. Tanka and Skunk will play their drums and keep your preschooler highly entertained. I always encourage my students to chant along on on the parts that repeat. 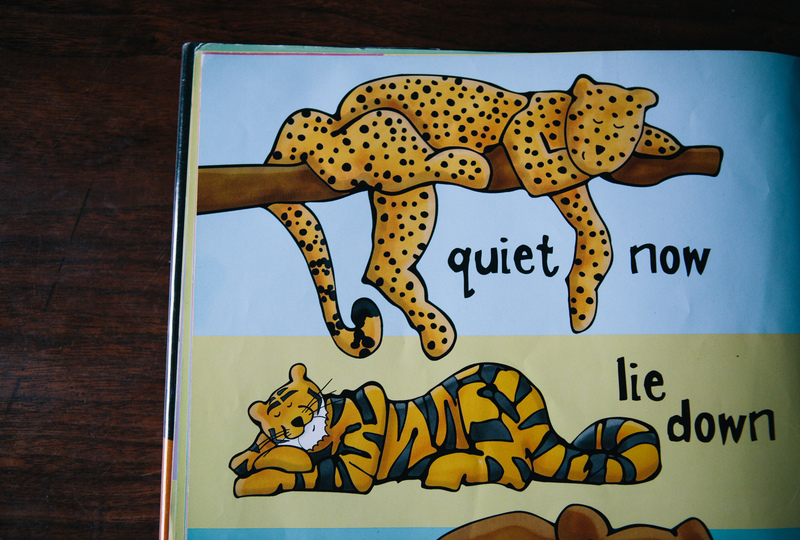 The illustrations are colorful and full of life and the concept of the book simple and fun. Check your library (my favorite free method for checking out a book) or check it out on Amazon. It’s a little hard to come by, but I promise it’s worth it! Check these out and then let us know what you think in the comments below! And, stay tuned for next week’s songs for preschoolers! Hi Diana – I’m sorry it wasn’t easier to find! You can try this link: https://itunes.apple.com/us/album/five-little-ducks/id439410679?i=439410700 It takes you to the whole album. I believe it is Track 11 on the album “Children’s Songs” by Susie Tallman. Hope that works for you!